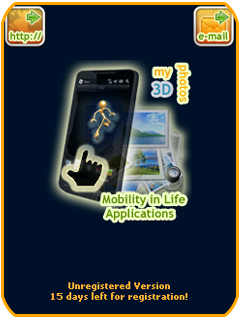 Imagine of capturing your own 3D photos with your Windows Mobile Phone? With 3 finger taps on your mobile phone, you can capture your own 3D photos, everywhere you are and share them immediately with your friends on Facebook or Flickr. Even if you don’t have the anaglyph glasses with you, the application creates also an animated gif photo that contains the two parts of your 3D photo (Wiggle stereoscopy), so you can easily “preview” the stereoscopic images without glasses. How to capture quality 3D Photos! 11 Απρ 2011, 6:36 π.μ.